In reality, she is Sandy Fulton. Photographer: Bunny Yeager. This picture can be found in a book called “Bikini Girls Of The 1950s“. More non-Marilyn’s: The Best Photos Of Marilyn Monroe…..That Aren’t Marilyn Monroe (BuzzFeed). 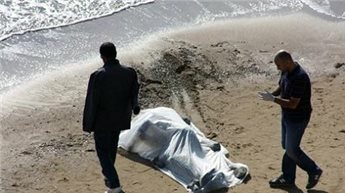 According to other news sources, this picture is about a murder victim in Italy in 2004. Here’s one news example from 2012. I don’t know why Ma’an News Agency used a picture that doesn’t match the story. Mistakes do happen. Here is one example (2012): BBC News. And another one (2014): Agence France-Presse (AFP). 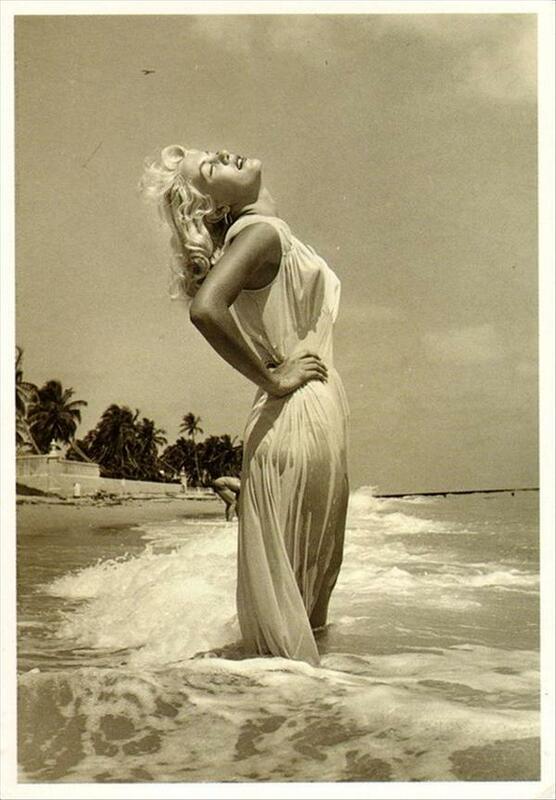 “Marilyn on the beach” and “a body on the beach” are just small examples of a bigger problem. Note that especially in social media, the people are the press.